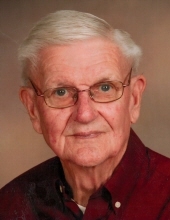 Harold D. Severson, age 84 of Black River Falls, died Saturday, January 19, 2019 at the Black River Memorial Hospital. He was born on April 10, 1934 in Melrose, Wisconsin, the son of the late Elmer and Gena (nee Hendrickson) Severson. Harold was a 1952 graduate of Black River Falls High School and served in the United States Army during the Korean Conflict. Harold married Phyllis Dufeck Rozmenoski in 1966 and they lived in Black River Falls, Onalaska and Mission, Texas. He was employed as a professional sign painter and artist. After retiring, they returned to Black River Falls where he was active in Veteran’s Affairs. He also was active in Elks Lodge, Chamber of Commerce in Mission, Texas and Eagles Lodge in La Crosse and in both American Legion and VFW Posts in Black River Falls and Mission, Texas. Preceding him in death were his parents; wife Phyllis; 5 brothers: Spencer, Chester, George, Ellsworth and Lawrence Severson; 5 sisters: Geneva, Ruth Twieg, Helen Mae Hoile, Tilda Bullock and Gladys Semingson; and a grandson Dustin Rozmenoski. Harold is survived by his sister, Marie Strasburg of Williamsport, Maryland; son Kerry Severson of Whitehall; stepchildren: Debbie (Larry) Haller of Holmen, Danny (Mary Jo) Rozmenoski of Black River Falls, Douglas (Sherry) Rozmenoski of La Crosse, Diane (Scott) Lewis of Waterford, Dale (Tammy) Rozmenoski of Onalaska and David (Cheryl) Rozmenoski of La Crosse; 12 grandchildren and 11 great-grandchildren. He is further survived by many nieces and nephews. A celebration of life will be held at 11:00 a.m. on Saturday, February 2, 2019 at his family’s home church, South Beaver Creek Lutheran Church (W16679 County Rd D, Ettrick) with Pastor John Ashland officiating. Visitation will be held on Friday, February 1, 2019 from 5:00 p.m. – 7:00 p.m. at the Torgerson’s Funeral Home, 408 N. Water St., Black River Falls, and again on Saturday 1 hour prior to services at the church. Burial with full military honors will be held in the South Beaver Creek Lutheran Cemetery. Memorials are preferred to the Black River Falls Public Library, 222 Fillmore St., Black River Falls, WI 54615 or to VFW Post 1959, 421 US Highway 54, Black River Falls, WI 54615. To send flowers or a remembrance gift to the family of Harold Donald Severson, please visit our Tribute Store. "Email Address" would like to share the life celebration of Harold Donald Severson. Click on the "link" to go to share a favorite memory or leave a condolence message for the family.